Ever since I was a child I have had a list of things I wanted to see or do in life. Now that I am 50 years old, much has already chopped off on this list, but I still hadn't seen Humpback Whales up close. At the exhibition "Boot 2009" in Dusseldorf-Germany, I talked with another diver about underwater photography and he told me that he photographed a Humpback Whale once from above. Amazed that one could photograph a humpback whale from above, underwater, I flew that same day back to Zurich and I couldn't get the thought out of my mind that someone was able to do such a picture and I haven't yet. Many months passed, and all of a sudden I remembered the conversation with that diver, and now I had to go fast. I wanted to be as close as possible to Humpback Whales, as soon as possible. In November 2009 I had researched extensively on the internet and I thought I now knew where it would work out to swim with humpback whales, and be able to take underwater shots of them. 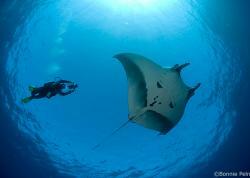 It had to be the South Seas since a well known underwater photographer went there with small groups as well. 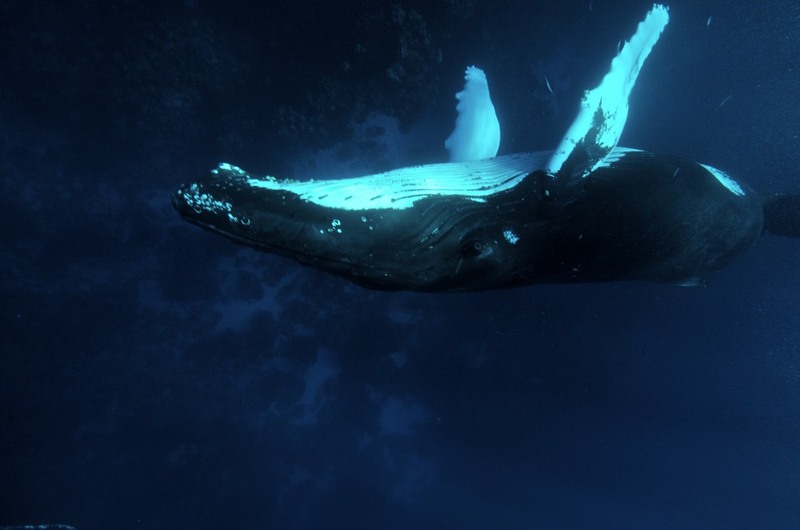 I almost booked a trip to the south seas for the summer 2010 when I found on the Internet a website of a German pair who had photographed in the South Pacific humpback whales, but also in the Silver Banks in the Caribbean. I made a quick decision and contacted them and asked politely where they think the best chance would be to be able to swim with humpback whales. 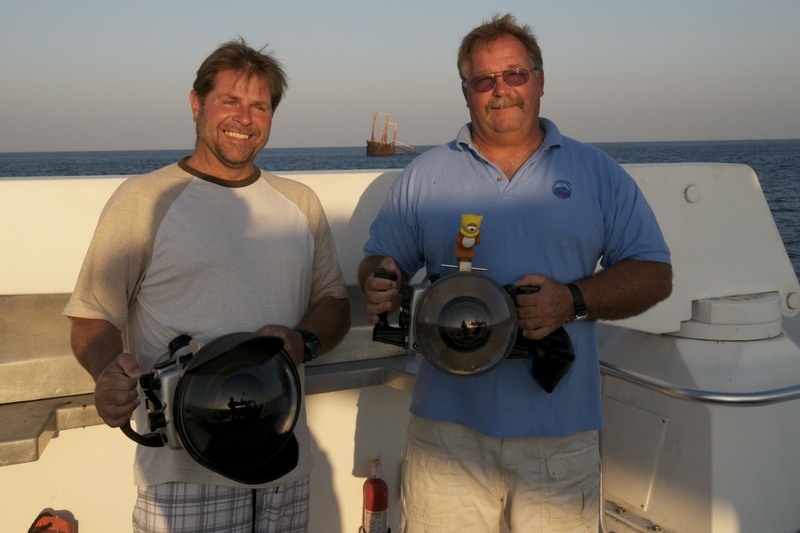 Their unequivocal answer was, "The Silver Banks" on a liveaboard. Okay, now it was already the 7th of December 2009 and on 18 December we had booked our flights to Thailand for a diving vacation and it turned out that the humpback whale season in the Silver Banks started already by the end of January and ended by the beginning of April. But could we wait another year? No way! Again, after intensive research on the Internet, though I had almost no time left because I had to take care of the imminent diving holiday in Thailand. Only 3 boats have a permit to go to the Silver banks during the humpback whale season . I called my Fish & Trips Dive Travel Agency in Vienna and Tina acted with lightning speed, 2 seats were still available and the trip was booked. On February 3rd me and my son Yves flew with a direct flight from Zurich to Puerto Plata in the Dominican Republic, from where the Turks & Caicos Aggressor II leaves for the silver banks. I was so excited and had such high expectations. 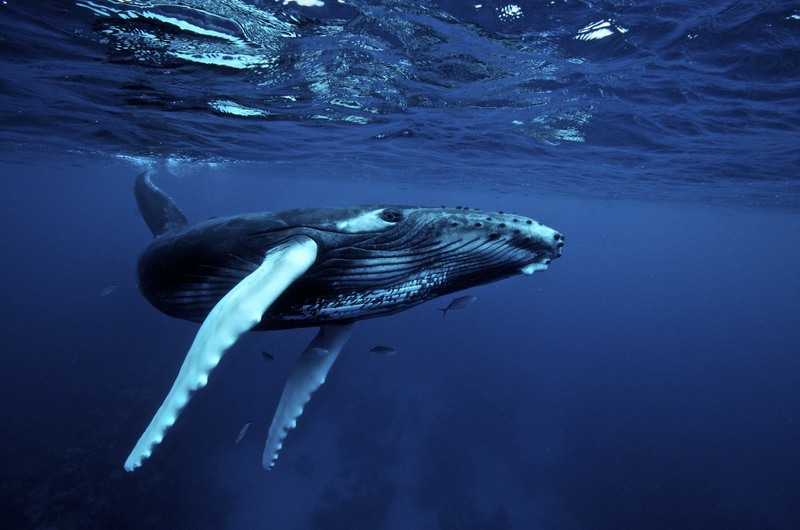 I had seen such great underwater images of humpback whales. But I should not be disappointed! Overnight we sailed from Puerto Plata 85 miles to the Silver Banks, which are an area of 200Km2 in the middle of the North Atlantic Caribbean Sea. At 6 o'clock in the morning I woke up and immediately went, still in the dark on the upper deck of the ship to look for humpback whales. Soon around 7 o'clock I could not believe my eyes. On all sides of the ship, which was then still steaming towards the silver banks, we saw them jumping out of the water on the horizon. It is believed that they are trying to wake themselves up by jumping out of the water. In the meantime everybody came up to the main deck and we were all amazed what we saw. But it would get even better. On the afternoon of arrival day, all around us, I saw just the sea, except for a ship wreck that stranded 30 years ago as a landmark. The crew let the two small boats into the water, and our adventure could begin at last. 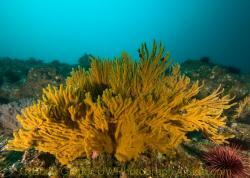 With my Nikon D300 in a Seacam housing firmly packed, now nothing could stand in the way of my photos. We went out in the zodiacs. Humpback whales were immediately seen, but they were always in motion. To swim after a humpack whale is pointless, they are too fast for us humans. A small gesture with his tail and he is gone. In the morning I already had an encounter with a humpback whale mother and her calf. The two swam so close by our mother ship by that I am, after consultation with the crew, I went into the water. Wow, they were directly under me. I judged the situation and decided to use Aperture F11 and 1 / 125 setting, and pushed the shutter, once, twice, three times, I do not remember how many times. The two humpback whales were no more than 5 feet away from me, I was very excited. Now the crew of the zodiac with the whale Guide Piers Van der Walt, one of the best whale guides around, spotted a humpback whale mother and calf. We had to wait until they dive, the mother goes down for 14 to 17 minutes to sleep . 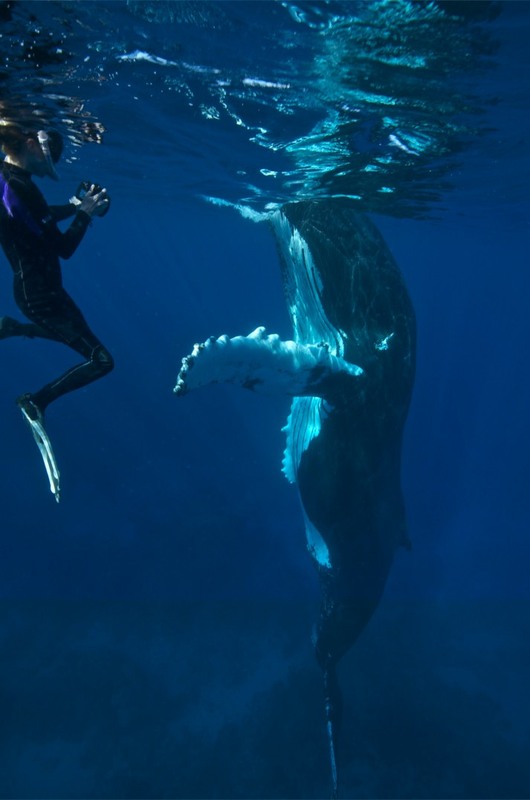 As long as the adult humpback whale is under water we can glide slowly and quietly into the warm water. The calves still need to come up to breath every 3-5 minutes and that is the moment where it gets exciting. If a calf is curious it will come up close to us while on the surface. And then I couldn't believe my eyes, the calf came right up to 50cm to our cameras. I was surprised about myself that I was still able to focus on shooting with my camera and even check the histogram every then and now. I looked up from my 45 degrees view finder on my housing and I saw the mother Humpback Whale come up to the surface very slowly. After a few deep breath she slowly moved towards us and stopped only a few cm in front of my dome port. Back on the mother ship everybody talks about his or her experience with the whales. This day was amazing. Most of us shot good pictures and we were happy like never before. Most of us were concerned not be able to fall asleep this night due to the fantastic whale encounters we have had. But the next day should become even better! Wednesday, we drive around with the two inflatable boats in the endless ocean and the humpback whales can only be seen on the horizon . They jump out of the water, clapping their fins on the water, but too far away for a good photo. We are always ready to slip into the water , but the whales stay far away from us. Then it was decided to go back to the mother ship and to go back out again after lunch. In the afternoon we are already over an hour with the inflatables in the water without a close encounter as we suddenly hear Piers van der Walt on the radio, "Predator to Conqueror, where are you?" They are so far away from us that we do not even see them on the horizon, despite the beautiful weather. "Come right away north", it sounds loud and clear over the radio. He has been pursuing for an hour 3 to 4 male humpbacks who want to mate with a humpback female. A "Valentine" as he calls could be looming. A pairing. We speed north and it took quit some time until we spotted his inflatable, that far away he had gotten. When we got there, a sight as I had not imagined in my wildest dreams. The group from the other inflatable is already in the water. And what a sight. The humpback whale female isattracted by the group in the water and it comes as close as a few cm to the group. Piers is giving his instructions from the boat. As Piers looks at me with my underwater camera in my hand it is clear to him, I must go immediately into the water! He calls me in his usual calm, South African English, WILLY - Ready ? YES ! Slide in . I'm in the water and a few short kick strokes and already I see a female humpback whale from the bottom coming towards me. With her eye, she looks at me, and I look into hers, we are separated less than two feet from each other, and this the middle of the ocean. I take pictures, try to keep a cool head, look back at her. Now she turns on her side and floats on her back by me a few centimeters beneath me. My 10-24mm wide angle lens is powerless to get those huge whales full in the picture. Have I still a heartbeat? Amazing thoughts go through my head. It is as if life had stopped and would start over. We all are completely stunned. Again and again she comes up to us. Piers calls one of the guides in the water, "dive down and rise in a spiral, she will imitate you." What? I have correctly understood it? My English is good, and I understand everything. Fascinated, I look down as the guide comes up and rotates around his own axle . Now the female humpback whale has seen what he does. I cant believe what I see! 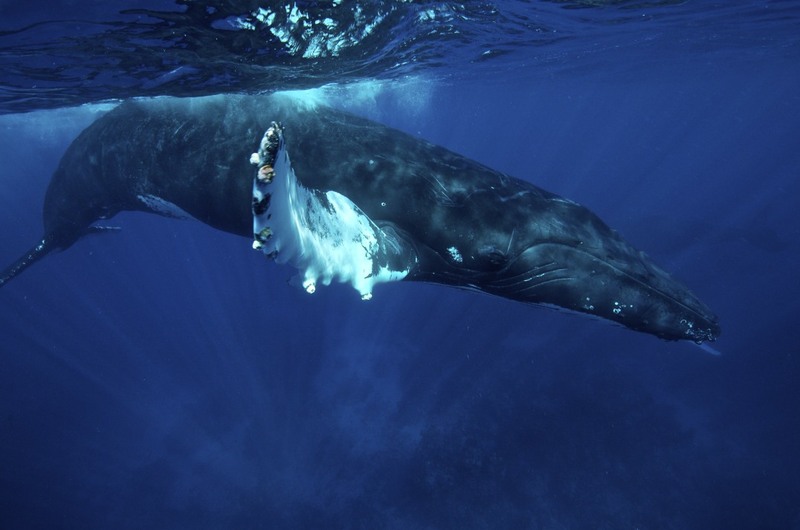 The female humpback whale, 40 tons, 14m long comes from below us and makes a rotation around its own axle. She really imitates what we do... I rejoice with joy through my snorkel and take photos. I manage to continue to make good settings, incredible. And then it happens. Britta from Germany is hit by a vertical fin of the whale on the head. She tells me later that she almost fainted. Other later reported that they had gotten hit by the whales fins also. The male whales are still below us, and swim back and force and try to lure the female away from us. This action takes more than an hour. Back on the inflatables we realize how exhausted we are. As we look at each other, I have never seen such emotion in peoples faces. Now we have a long drive back to the mothership. In the evening we are all emotionally exhausted ! A feeling I have in my entire life not yet experienced. I have seen the "Whales Of The Silver Banks " up close. Where is the Silver Bank region? The Silver Bank lies in the Caribbean sea, between the Dominican Republic and Turks and Caicos. It's about an 80 mile journey from Puerto Plata, Dominican Republic. When it the best time to go to the Silver Bank? From late January until the end of March. Vis is usually 50-60ft. Only the Humpback whales. But you will never be bored. 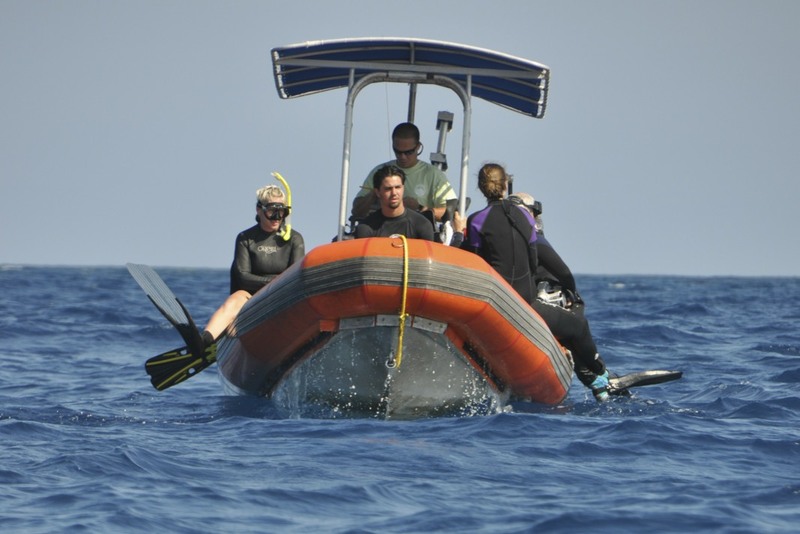 Whale trips are snorkeling only, no scuba diving. There's not many fish. Don't get too close and listen to your guide. 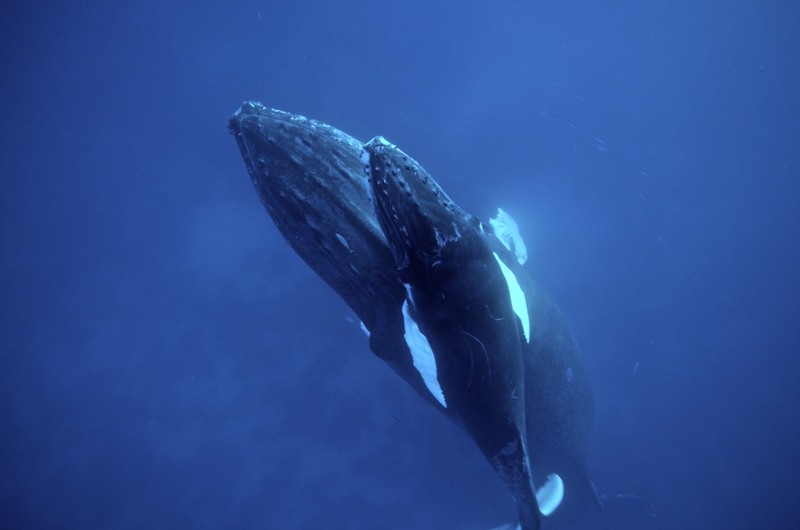 People have been hit by the whale's tail, especially during a " Valentine ", which is when Humpback Whales mate. There are very strict rules for when you can enter the water with the whales, so don't expect to be in the water for large amounts of time. Still, watching them from in a Zodiac can be quite exciting also. There are very strict rules for when you can enter the water with the whales, many times you might spend up to an hour in the water with the whales, and sometimes only minutes. Still, watching them from within the Zodiac boat can be quite exciting in itself. Submitted by Cool (not verified) on Tue, 2012-03-27 10:24. Submitted by candace (not verified) on Mon, 2010-12-13 23:32.